Aerial firefighting is moving to faster, heavier and more capable aircraft at the same time that providers of fire services are confronted with demands from federal officials in the U.S. to upgrade their onboard systems while simultaneously holding bid prices on contracts. 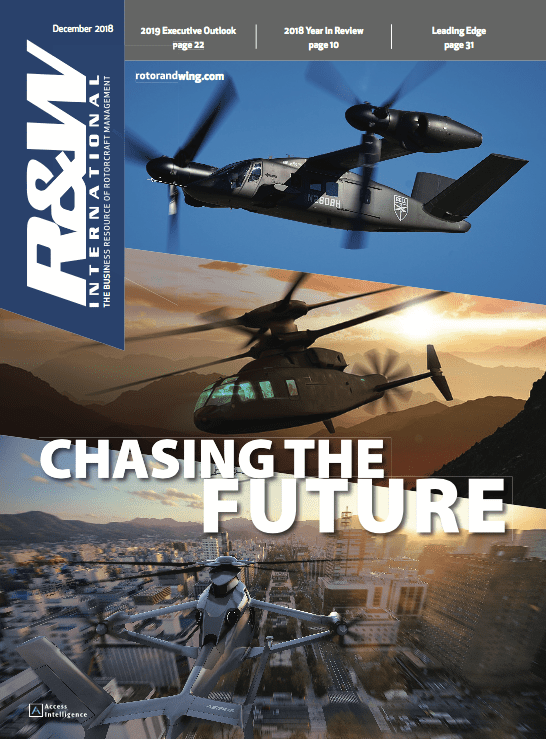 From retrofits of old aircraft like Sikorsky's S-61 and CH-53 and the Bell AH-1 Cobra to the entrance of new aircraft such as the Bell/Agusta AB139, fire-services companies are looking to get an edge on competitors by fielding aircraft that can deliver more suppressant to a fire and do it faster. Carson Helicopter Services, for instance, plans to put its Fire King conversion of the S-61 into service during this year's summer fire season. 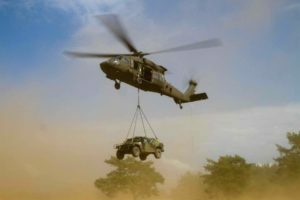 Heavy Lift Helicopters likewise is readying its upgrade of a CH-53 to a firefighting configuration, and a variety of agencies--from the U.S. Forest Service to the Washington State Dept. of Natural Resources and the Florida Dept. of Forestry--continue to assess how converted Cobras can fill traditional firefighting roles and improve their ability to monitor and manage wild fires from the air. 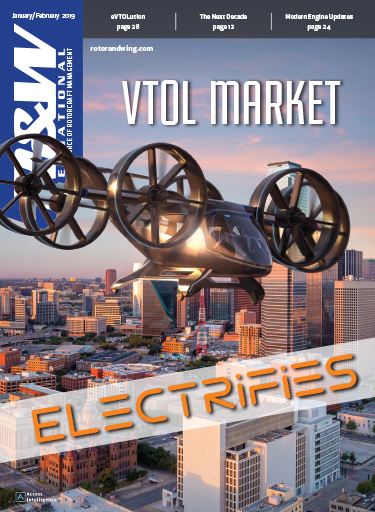 This month, Rotor & Wing looks at the projects under way and the regulatory and funding environments in which fire services are likely to be operating in the coming year. The regulatory and funding environments are tough ones. The U.S. Forest Service and Interior Dept. are demanding more technologically capable contract aircraft working over their firegrounds. This is for economical as well as safety reasons. They want automatic flight following installed on the aircraft so managers on the ground can know where they are at all times during a fire attack instead of relying on regular reports from the pilot for that information. They also want it as part of better onboard systems for recording how much water is dropped on a fire and where it is dropped by contract aircraft. They want traffic alert/collision avoidance systems installed as well to help ensure that aircraft stay separated in crowded skies during busy attack sequences. They also want digital radios installed on contract aircraft to ensure that aircrews and personnel on the ground can communicate with each regardless of what agency or company they are from or whose communications equipment they are using. After complaints from the industry about the cost and timing of these requirements (some of which were targeted for implementation before the onset of the this summer fire season in the U.S.), federal officials backed down from imposing the new rules on aircraft flown under call-when-needed contracts this year. But they are requiring some new equipment on aircraft flown under exclusive-use contracts this year. This comes at a time when the chief federal agencies overseeing aerial firefighting contracts and operations appear to be moving toward broader use of exclusive contracts. The demands for improved equipment and capabilities comes at the same time federal officials are pressuring firefighting-services companies to keep their bids on 2005 work capped at or below the levels awarded for 2004's work. 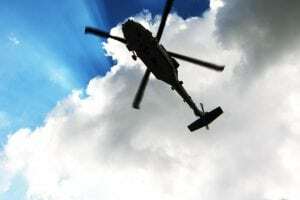 "They want the top-of-the-line helicopter," said Tom Eversole, executive director of the American Helicopter Assn., a firefighting helicopter trade group. "But you can't get there if you're not willing to pay for it." The question of how much governments--federal, state and local--are willing to pay and what services they will pay for remains a key bone of contention. 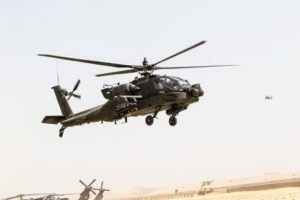 Industry officials, for instance, fault the various efforts under way to use converted AH-1 Cobras made surplus by the U.S. military for civil firefighting work. They argue any work the Cobras do should be contracted to private operators already flying helicopters converted for firefighting work. "We have tended to view the Cobra as a competitor," Eversole said. Advocates of the conversion counter that the aircraft are being fielded for particular requirements that private contractors cannot fill or developed as research projects whose products will eventually be turned over to private industry for implementation. The latter is the case with the U.S. Forest Service's ongoing Firewatch Cobra project, based in Redding, Calif., at the Shasta-Trinity National Forest. The brainchild of Morgan Mills, a national helicopter standardization pilot for the Forest Service, the project is aimed at assessing the Cobra's usefulness as a command-and-control platform for firefighting activities on the ground as well as in the air. With Paul Markowitz, a Forest Service national maintenance specialist, Mills identified from a lot of 300 the retired Cobras with the lowest flight times and best overall conditions. They arranged to buy a group of them from the U.S. Army for $1 each. A contract was reached with the Aviation Support Company at Ft. Drum, N.Y., with Lear Siegler there and with Boise, Idaho-based Western Aircraft to strip down and refurbish the aircraft at a cost of about $160,000 per unit. All wiring and weapons systems were removed from the Cobras, which were 1,000 lb. lighter upon completion of the refurbishment. By spending less on the airframe, Mills and his team figured, they would be able to invest more in the various technologies needed on board to create an effective firefighting command-and-control platform. They had installed three FM and three Victor radios for tactical communications, an Avalex Model 7000 moving map with an extra large display screen, a solid-state recorder, an onboard computer, a Broadcast Microwave Systems microwave downlink system, and Max-Viz's EVS-1000 enhanced-vision system to aid in low-visibility operations. They also selected FLIR Systems' StarSafire 3 thermal imager with geo-pointing and geo-locating capabilities. A FLIR Systems multi-sensor camera mounted on the nose of the aircraft takes integrated infrared and live-time color photography. It also has a spotting scope, a laser range finder, a laser illuminator, and a GPS unit, and is fitted for automatic flight following. A Globalstar satellite phone helps assure communications over isolated areas. It is equipped with data transmitting capability to e-mail map information in flight. The cost of integrating that technology was about $1 million. The Firewatch Cobra program evaluated the aircraft in three separate firefighting roles: serving as lead plane/air supervision, air attack (or airborne command and control), and as a platform for geo-referenced infra-red and video mapping linked in real time to fire commanders on the ground. The helicopter can record data over a fire on an Avalex Digital Video Recorder for later viewing or broadcast it live to a support vehicle located up to 20 miles away. It is teamed with a ground module receiver vehicle and staffed by experienced firefighting and incident command personnel. Essentially, the Firewatch Cobra's role would to assist in guiding other aircraft in delivering water loads more accurately and relaying up-to-date information about the size of a fire and the direction of its movement to dispatchers. The aircraft is not equipped to drop water or retardant drops. The Firewatch Cobra was deployed to fires in Northern and Southern California for the first time last July. It flew aerial supervision and data-gathering missions on several incidents, including the destructive "French Gulch Fire" in Shasta County, Calif. Forest Service officials said they were impressed with its capabilities. "The integration of the systems," Stan Kubota said, "is definitely giving the results that we expected--the immediate situational awareness that we were looking for." A Forest Service air attack officer, Kubota is the main sensor operator for the Firewatch Cobra and the air tactical group supervisor coordinating the effort. He said the project has spurred the development and testing of new tactical methods unique to the firefighting application. Early on in the project, Kubota said, it was clear the Firewatch Cobra would require a higher level of integration among the various systems on board than had been achieved in their previous civil applications. "The operator would need to have the ability to accurately determine the geographic position of targets using the airborne camera, slave the sensor to specific geographic coordinates, and stay there while I worked the radios," he said. 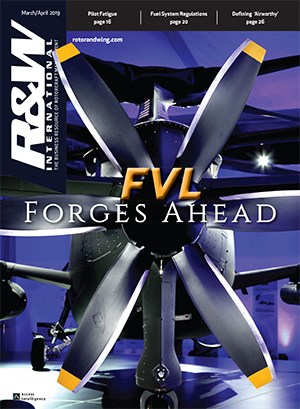 FLIR Systems and Avalex "achieved a level of unprecedented accuracy with no additional cost to the U.S. government," he said, and were very responsive and easy to work with. Integration between the FLIR camera and Avalex mapping system "created information with a high degree of accuracy that needed no complex interpretation." This helps him relay the exact coordinates for placement of water drops. In addition, the fire can be mapped from a safe distance by directing the flir along the visible edge of the fire line and having the Avalex system records the position of that line. The downlink capabilities help keep the incident commander on the ground informed in real time throughout the operation. "Using the FLIR payloads in conjunction with the moving map allowed us to map the fire in detail and downlink the information to the incident commander on the ground in real time," he said. "This allowed the incident commander a clear view of the overall situation." The Globalstar telephone on board also allows him to email mapping information to the Forest Service central server and have it distributed within minutes to all Forest Service offices. Kubota noted the StarSafire III flir lets him see through the smoke of the fire down to the ground level, with no degradation of the image in the presence of steam or water molecules in the smoke. Infrared technology allows for determination of hot spots and accurate assessment of the fire line. The flir "was highly effective in assisting the ground fire crews in maintaining the integrity of fire lines," he said. "Infrared allowed us to know, rather than to guess, where the fire was most volatile." Previous guesswork stemmed from the fact that nearly everything in a forest fire is obscured by smoke. That made it difficult to find hot spots, let alone precisely locate them. Because of the prevalence of smoke, determining the boundaries of a fire often required having crews walk around some or all of it, which could take days. Since the flir detects infrared emissions, the hot spots and fire boundaries are clearly evident. "Using the infrared camera, I could easily see small hot spots, determine their exact location with the moving map, and alert the ground crews, Kubota said. "The ground crews then could respond to the exact coordinates and prevent the fire from escaping." In addition, he said, the flir's ability to penetrate smoke allowed the Firewatch Cobra "to operate a safe distance away from a fire and not interfere with other fire suppression aircraft." Sharing real-time video with the incident commander via the downlink allowed fire planners "to determine future needs without wasting valuable time traveling around congested, hazardous airspace." In addition to the link with the incident commander, information could be downlinked to tactical teams of firefighters on the ground carrying a "briefcase" receiver. This allows those teams to see video while they are on the fire line. "When reports of emergency situations or areas of concern arise on a fire," Kubota said, "real time video provided the link to incident commanders for quick, appropriate response." As Forest Service officials gained more experience with the Firewatch Cobra and its onboard systems, "it became apparent that the unit could be used in more applications than just firefighting," Kubota said. "For example, we recorded video images to be used in a fire restoration project in the "Straylor Fire" area of the Lassen National Forest," also in California. As a result of the Firewatch Cobra's performance in 2004, a second aircraft is being refurbished and readied for systems integration at Fort Drum. It is scheduled to be fielded in time for this summer fire season. Forest Service officials are considering adding night-vision goggle capability to the aircraft to aid night flights. Together with the MaxViz system, the night-vision goggles would "assure a high level of safety and will increase coverage of fire status to those on the ground to 24 hours a day," Kubota said. The Firesnake Cobra developed by Garlick Helicopters for the Washington State Dept. of Natural Resources is a more contentious project. That aircraft will be used for initial attack on a fire, which has some private operators up in arms. Dave Doan, the aviation manager for the Natural Resources Dept. said it is not a matter of a state agency competing with private entities but one of the department meeting its obligations under state law. "It's our responsibility to make sure those fires don't burn up people's houses," he said. "We still only do initial attack." If the attack on a fire becomes a prolonged operation, private contractors take over. Garlick Helicopters has converted four Cobras to the Firesnake configuration for the department. The conversion includes gutting the aircraft, taking off its tail boom off and removing all unnecessary military wiring, which was amounted to almost 500 lb. in weight. A bubble is installed on the left side of the aircraft so the back seat pilot could look out and down. The aircraft also received a new avionics package with a customized instrument panel. A Boundary Layer Research strake kit was installed and the cargo bay that had held the ammunition for the Cobra was extending for the Bambi Bucket. The Cobra has been modified to accommodate a 6,000-lb. cargo system. The nose compartment was also redesigned for the inverter and battery so that the front seat pilot, who serves as navigator, can disconnect the battery from inside the cockpit in the event of an emergency, Bruno said. Fielding a Firesnake Cobra costs about $300,000. The aircraft operates under a restricted-use type certificate held by Garlick. The Natural Resources Dept. has 22 Cobras in hand, including four flyable ones. "We intend to fly these aircraft a lot and put out a lot of fires with them," Doan said. On the heavy end of the business, Carson Helicopters is this year field its Fire King conversion of the S-61. One customer for the Type 1 firefighting helicopter is Oregon's Dept. of Forestry. In converting the aircraft, Carson adds the composite-blade main rotor it developed with Duocommun for the S-61 and installs a 900-gal. belly tank. The aircraft, which can carry 15 firefighters, is also equipped with a Goodrich hoist. The new main rotor provides a 2,500-lb. payload increase and a 15-kt. gain in airspeed. With the modifications, Carson officials said, the Fire King can cruise at 130 knots, lift an 11,000-lb. payload, fly for 3 hr. without refueling and take off at 12,000 ft. msl. That means the aircraft should be able to reach distant fires more quickly, deliver more capability on the ground and operate for longer without refueling once it is on the scene. The intention is that the aircraft can ferry a ground attack crew to a wildfire, drop them off and then load water for an aerial attack. The hoist permits recover of a firefighter injured or in distress. Using a tank instead of an external bucket permits the aircraft to be flown directly over populated areas, a critical consideration in fighting fires at the urban-wildland interface, that area where populated areas expand out into wildland. Operations at that interface are a growing area of concern for firefighters. It is becoming a more pressing issue as homeowners willing to endure long commutes seek less costly homes built in developments in formerly rural areas. Carson has a one-time supplemental type certificate to convert two S-61s to the Fire King configuration. It is considering an engine upgrade as a follow-on improvement. The aircraft costs about $6 million fully equipped. Carson officials said its lower operating costs and performance capabilities should make it a potent competitor in the firefighting market. The plan is to have about six Fire Kings flying this summer fire season. Also on the heavy end, Heavy Lift Helicopters is offering two converted Sikorsky CH-53Ds for civil firefighting duties this year. The company, a unit of Rogers Helicopters, purchased the mothballed aircraft from the U.S. Navy. Dubbed the Fire Stallion, the converted aircraft are fitted with 2,300-gal. water tanks gallons of water and can cruise at 148 kt. The company plans to begin test water drops in May. Also on the heavy end, Heavy Lift Helicopters is offering two converted Sikorsky CH-53Ds for civil firefighting duties this year. The company, a unit of Rogers Helicopters, purchased the mothballed aircraft from the U.S. Navy. Dubbed the Fire Stallion, the converted aircraft are fitted with 2,300-gal. water tanks gallons of water and can cruise at 148 kt. The company plans to begin test water drops in May. Erickson Air-Crane has delivered the second of four S-64 Aircrane helitankers to the State Forestry Corps of Italy and is currently training pilots from that government agency on the aircraft. This year will be first in which the aircraft is in position in Italy for firefighting duties. Delivery of the first aircraft last year came after the season was done. Erickson claims to be the most experienced operator of the Aircrane; it operates 19. Erickson pilots will fly as pilots-in-command with the Italian pilots on their first firefighting missions to get them qualified for operational duty. The aircraft includes an extensive overhaul that incorporates new- generation cockpit displays, solid-state attitude heading reference systems, and a three-axis automatic flight control system. The upgrade was completed and certificated by Heritage Aviation, Ltd. in Grand Prairie, Texas in conjunction with SAGEM Avionics. It includes six STC packages covering a host of new sensors, avionics, fuel quantity measuring, and panel display enhancements. The cockpit features vibration isolated instrument panel, Collins Pro-Line 21 avionics suite, two 10.4-in. LCD multi-function displays to replace several "steam' gauges, and a new LED warning panel. In Southern California, the Los Angeles County Fire Dept. is looking forward to expanding its fleet of Sikorsky S-70A Firehawks. The department currently operates two. A third is undergoing modifications. 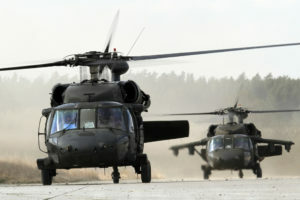 The aircraft is a customized version of the Sikorsky Black Hawk. The folks with Kaman Aerospace's K-MAX helicopter program are working with two vendors on the development of conformal water tanks to make that aircraft a firefighting option for outfits that can not (or choose not) to use external buckets. Kaman hopes the tank options would give K-MAX operators an edge in winning federal firefighting contracts and help boost sales for the aircraft and help justify restarting its production line. The inventory of K-MAX helicopters is sold out and the company is working to piece together separate orders into a package of sufficient quantity to justify a new production run. One vendor developing a K-MAX tank is Kawak Aviation Technologies of Bend, Ore., which has opted to develop a metal version of a 700-gal. conformal, fixed-tank system. The other vendor, Isolair, Inc., of Troutdale, Ore., is developing a composite version of the system. Each system will include hydraulic-powered hover refill pumps. An existing 50-hp. accessories pad on the K-MAX transmission will power the tank's hydraulic systems. The goal of both initiatives is to develop a tank that can be installed easily and refilled to maximize aerial firefighting effectiveness for operators around the world. With a fixed tank installed, the aircraft would be called FIRE MAX. The companies aim to field the systems this fire season. "Once the fixed tank systems are available, we look forward to seeing it in field operations," Roger Wassmuth, director of K-MAX marketing and business development, said. Given the K-MAX's tall, narrow body, the tanks will wrap around its slender belly then up its sides. That should create head pressure in the tank that permits quick, effective controlled releases of the water load, Wassmuth said. Simplex Manufacturing is pursuing sales of its fire-attack systems for current aircraft and looking to develop products for new-production runs. The Portland, Ore.-based company late last year won European Aviation Safety Agency approval for installation of its Model 310 line of fire-attack systems on the existing Eurocopter AS350 series helicopters. Approval was granted for the 230-gal., 285-gal. and 310-gal. capacity systems. 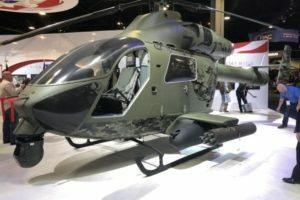 Simplex also is working with Bell/Agusta Aerospace Co. to develop a firefighting system for its AB319 medium twin helicopter, which won U.S. type certification in December 2004. SEI is marketing its Torrentula dump valve for its Bambi buckets, in part to help customers meet growing federal demands for better record-keeping of contracted firefighting operations. The valve is designed to allow multiple precision drops with variable flow rates from Bambi-equipped helicopters. SEI officials said the valve permits pilots to make as many separate dumps as required at rates varying from 0 to 100 percent. The valve also permits fast fills in water as shallow as 18 in., they said, and the valve's actuator allows precision drops.